Domains of Learning research papers discuss the four domains of learning. Domains of learning research papers look at the four main domains that involve cognitive functioning and learning. Paper Masters will custom write an education theory research paper on the domains of learning for any type of class you need. Educators and social scientists have identified four domains of learning, which are critical when designing instruction. Teachers need to be aware of which of learning domain, or outcome they wish to emphasize in a lesson in order to determine which activities and assessments would be the most optimum in reaching learning objectives. Cognitive domain is the area in which Bloom’s Taxonomy (knowledge, comprehension, application, analysis, synthesis, and evaluation) is most traditionally applied. The cognitive domain is the most crucial, as all other domains involve some aspect of cognition. The affective domain deals with motivation, attitude and willingness to participate on the part of students. It is the domain least frequently addressed by educators. The psychomotor domain focuses on motor activity, performing tasks in a specific sequence until a higher level of accuracy or skill is gained. Science labs, physical education, and vocational courses teach to the psychomotor domain. The interpersonal domain involves a list of skills that teach more face-to-face interaction, such as seeking information. Structured team projects are good instructional strategies for strengthening this domain. Knowledge - Knowledge research papers examine the nature of knowledge and how it can be achieved. Instructional Strategies for Differentiating - Instructional Strategies for Differentiating Instruction is a means of recognizing that no two students are the same, and all enter a class with different backgrounds, preparation, experiences, abilities, and weaknesses. Instructional Theory - Instructional Theory Research Papers discuss the concept of instructional theory as being rooted in determining and promoting the best ways for individuals to progress educationally. How to Reduce Students' Stress - However, you will also include an explanation how each objective matches with the learning domains and the taxonomy of each. Intelligence Quotient - Intelligence Quotient research papers discuss how the IQ is used to determine the intelligence of an individual and help identify special needs in learners. Early Childhood - Early Childhood research papers describe the understanding about the developmental process of children in the early stages of childhood. Educational Objectives - Educational objectives are essential for the learning process and help to focus the lesson, and provide learning goals for students. Behaviorists and the Learning Process - Behaviorists on the Learning Process Research Papers deal with the theories of Pavlov, B.F. Skinner and John Watson. Gifted Students - Gifted Students research papers discuss additional measures taken to challenge a gifted student beyond the traditional lesson. Situated Cognition - Situated Cognition research papers explain that, only through social, cultural, and physical contexts that a person can make meaningful connections and effectively learn new content. Higher Thinking - Higher Thinking research papers discuss the differences of thinking from the lowest level to the highest level. The "Desire Account" in Marquis - The "Desire Account" in Marquis Research Papers explain the "Desire Account" in Marquis. Educational Objectives and an Assessment Plan - Educational Objectives and an Assessment Plan research papers assess the requirements for technology for educational purposes. Instructional Design Theory - Instructional Design Theory research papers investigate how instruction should be designed in order to promote optimal learning. 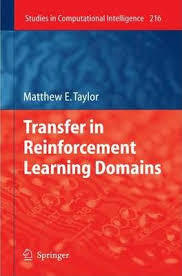 Paper Masters writes custom research papers on Domains of Learning and discuss the four domains of learning.